A narrow path in the wilderness off the Temple Road in Mcleodganj leads to Jampling Elders’ Home run by the Central Tibetan Administration. Here, flipping through the pages of a national daily, sits 66-year old Bhuchung Tsering. As a news item commemorating the 1965 war heroes catches his eye, his mind immediately trails off to another war that he and scores of other Tibetans had fought for India. By expanding its strategic footprint in Asia, and through this avenue in the world, Indian practitioners could dilute the ill-effects of past policies of China and America vis-à-vis India and negate as well the pernicious influences of Nehru and his legacy in Indian strategic affairs. The Government ought to be clear about the geostrategic targets of its actions and base them on Assessments of Threats, (T), Opportunities and Options (O) available and Potential Means (M) and the Situation at hand or as it is likely to develop (S). TOMS ought to be the standard way to approach the issues. The mantra should be to effectively engage the external environment to India’s advantage rather than to project moralistic and legalistic prescriptions. The aim should be to position/ reposition India in ways which increases her manoeuvrability in international relations. Two metrics are relevant. 1. That the other side is disabused from acting with impunity against India as it has in the past. 2. The other side pays attention to Indian security requirements and perceptions. NATO – ‘no action, talk only’ became the derisive characterisation of Indian diplomacy during the UPA rule; this method should be shunned as a form of Indian action because talk is cheap, it does not convey a credible commitment to the other side and it is neither a form of intervention against enemies nor an action to develop strategic partnerships. Central Intelligence Agency map of the entire Kashmir region. OLAMSHAKH, Afghanistan — A militia fighter wearing a loose-fitting Afghan tunic and sandals, and with a rocket-propelled grenade launcher strapped to his back, stands at a checkpoint by a rickety bridge. To pass him requires the permission of Nabi Gechi. Gechi is neither a district governor nor a tribal elder. But in this sun-scorched territory of northern Kunduz province, where U.S. troops left long ago and there are no soldiers or police, Gechi and his fighters are the only resistance against a resurgent Taliban. And that makes him the most influential man for miles around. “Now, no one dares to steal anything in my area,” the militia commander said. The Indian Ocean is the world's third largest body of water and has become a growing area of competition between China and India. The two regional powers’ moves to exert influence in the ocean include deep-water port development in littoral states and military patrols. Though experts say the probability of military conflict between China and India remains low, escalated activities (such as port development and military exercises) and rhetoric could endanger stability in a critical region for global trade flows. But the diverse nontraditional security challenges in the Indian Ocean Region (IOR) also offer areas of potential collaboration for China and India, as well as other regional actors. German Chancellor Angela Merkel visited China on October 29 and 30, marking her eighth visit to the country since she assumed office in 2005. 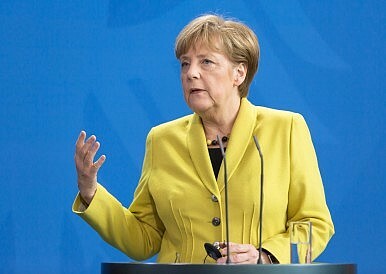 Ostensibly, her trip was aimed at deepening the economic ties between China and Germany, but security and strategic issues – from the Syria crisis to the South China Sea – also featured on the agenda. Germany has been concerned about China’s economic slowdown, and for good reason – last year, China was Germany’s fourth biggest export market, representing nine percent of total German exports, according toReuters. Ironically, Germany’s robust exports to China (something other countries have envied as they eye their trade deficits with Beijing) are now a headache for Berlin, as total trade between China and Germanyplummeted nearly 12 percent in the first six months of 2015. Meanwhile, there’s some nervousness in Berlin that the United Kingdom, with its avowed wish to be China’s “best partner in the West” could siphon off some of China’s economic largess. 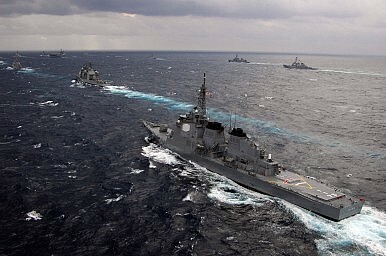 The Japanese Maritime Self-Defense Force (MSDF) and the U.S. Navy are holding a joint naval exercise in the South China Sea, the Yomiuri Shimbun reports. 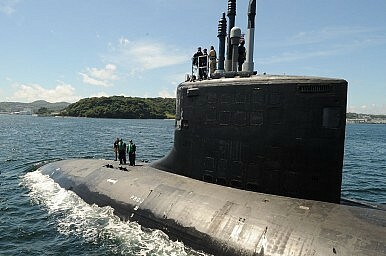 The exercise marks the first bilateral U.S.-Japan exercise in the area. The drill comes days after the United States staged its first freedom of navigation operation within 12 nautical miles of a Chinese artificial island in the Spratly Islands. The Japanese Defense Ministry has told the Yomiuri that the ongoing South China Sea drill between the two allied navies is “an ordinary drill and unrelated to the U.S. Navy’s patrolling activities there.” The exercise is reportedly not taking place near the Spratly Islands. Per the Yomiuri, the JS Fuyuzuki, an Akizuki-class destroyer, is currently conducting drills of an unspecified nature in the South China Sea with the USS Theodore Roosevelt, a Nimitz-class super-carrier. Both theFuyuzuki and the Theodore Roosevelt participated in the recently concluded Malabar 2015 exercise – a trilateral naval exercise with India. Malabar 2015 concluded on October 19, 2015. It’s turned out to be an eventful week for the South China Sea. On October 26, the USS Lassen conducted a freedom of navigation operation (FONOP) within 12 nautical miles of an artificial land feature that China has reclaimed and been building on since the beginning of this year. 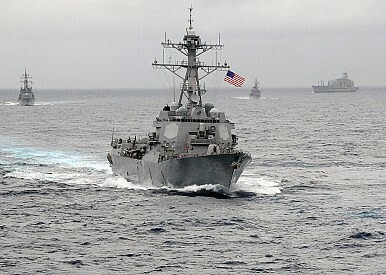 China strongly condemned the U.S. action as having “threatened China’s sovereignty and security interests, jeopardized the safety of personnel and facilities on the reefs, and damaged regional peace and stability.” But the United States firmly maintains that what its Navy ships did was a routine freedom of navigation operation, which it is entitled to conduct in accordance with the international law. At China’s request, U.S. Chief of Naval Operations John Richardson and his Chinese counterpart Wu Shenglihad a one-on-one video conference on October 29 regarding the U.S. action. Although no details of their discussion have been released, it is clear that their conversation was triggered by USS Lassen’s sailing near China’s artificial land feature. It was a visit he had been dreading for almost six months, since he began working on a tool to help Chinese Internet users get around the vast censorship apparatus known as the Great Firewall. Crowded inside his apartment in a northern Chinese city, Li says the officers ordered him to stop work on the tool and remove all traces of it from the web. He did what they said, posting a message online to explain why he was taking the tool down. He says the police came again and ordered him to delete the message. Li Gang is a pseudonym. “It is perfectly true, as the philosophers say, that life must be understood backwards. But they forget the other proposition: that it must be lived forwards.” This observation was made in 1843 by the Danish philosopher Søren Kierkegaard in a journal entry, but it might have been written about the contemporary Middle East. 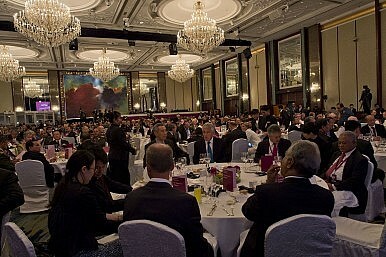 The Obama administration has received much attention for its policy of rebalancing to the Asia-Pacific region. The rebalance has been described as President Obama’s signature foreign policy initiative. Launched in 2009, it has received much attention from academics, practitioners, think tanks, and the media. In reality, the rebalance to the Asia-Pacific has been more evolutionary than revolutionary; a U.S. shift in focus and grand strategy began well before President Obama’s inauguration in January 2009. If the Obama presidency in fact initiated a revolutionary rebalancing, it was his effort to rebalance American foreign policy generally from over-reliance on the military and toward greater reliance on diplomacy and development. Despite a concerted effort, when viewed through several lenses it seems clear that demilitarization has failed and U.S. foreign policy remains very, perhaps overly, militarized. As a result, the Pentagon can expect to be handed messy military operations short of inter-state war that it may not be prepared, equipped, or organized to handle efficiently or effectively. Having maintained an isolationist foreign policy prior to reluctantly accepting global leadership in the aftermath of World War II from United Kingdom, United States is now unable to react efficiently to geo-political-military challenges the American empires faces today. 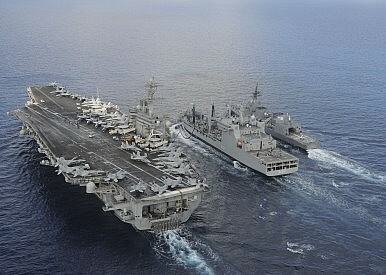 For the first time since 2007 United States has no aircraft carrier in the Persian Gulf. While maintenance was put forward as a reason for withdrawal of USS Theodore Roosevelt, the decision came in the wake of Russian naval deployment on 09 October. For the first time since 2007 United States has no aircraft carrier in the Persian Gulf. While maintenance was put forward as a reason for withdrawal of USS Theodore Roosevelt, the decision came in the wake of Russian naval deployment on 09 October. On 08 October Russian Navy fired 26 long-range new Kalibr-NK cruise missiles from naval ships in the Caspian in support of its military operations in Syria. Yet another geo-political challenge in the South China Sea (SCS), where the US strategic concerns for Freedom of Navigation (FoN) remained limited to rhetoric since 2012 despite a formal request in by US Navy in 2015 to challenge China’s sovereign territorial claims in the SCS. Since 2012 US Navy has conducted no naval FoN operations within the 12 nautical miles of China’s territorial waters around artificial island built on the Subi Reef in the Spratly Islands archipelago given its tactical acceptance that it would be provocative to China. 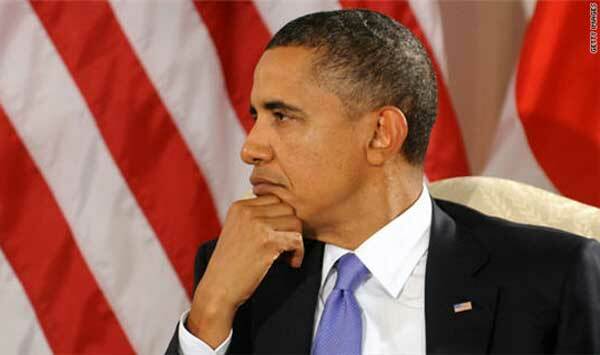 WASHINGTON — President Obama’s decision to send a small team of United States commandos into Syria as part of the broader war against the Islamic Statehas raised new questions about his military strategy, its legal foundation and the way it has been sold to the American public. After years in which Mr. Obama rejected “boots on the ground,” the deployment of up to 50 Special Operations troops to northern Syria is a relatively modest commitment. But coupled with the 3,500 troops now stationed next door inIraq, it reflects continuing improvisation in a war that has bedeviled Mr. Obama and tested the limits of American interests in the region. Leasing is a simple solution to the seemingly endless debates and acquisition negotiations with the Japanese and European governments, and it offers Washington and Canberra a number of strategic benefits. The operational procedures would be fairly straightforward. It would also strengthen the overall alliance in a context of increasing friction between the U.S. and China, and more closely integrate the two countries’ naval forces in a fundamental way. 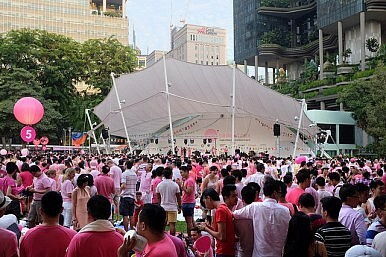 Despite handwringing by political progressives about the PAP’s landslide victory in the 2015 general election, social change is inevitable – and it may even originate within Singapore’s proudest policy arena: the economy. If the knowledge economy of the past and present is about starched shirts, lab suits, and pocket protectors, the creative economy of the future is about tight jeans, helix piercings, and MacBook Airs. These fashion references may be dated, but the point remains: Singapore’s competitiveness will soon be in the hands of a new style of worker. The PAP has shown remarkable adaptability in restructuring Singapore’s economy to capture global opportunities. To stay ahead of its regional peers and retain talent, Singapore should continue its willingness to eschew ideology in favor of pragmatism. One opportunity is gay rights. Inside the CIA Red Cell How an experimental unit transformed the intelligence community. Vladimir Putin ordered U.S. troops into combat in Syria on Friday. That’s not what White House Press Secretary Josh Earnest said when explaining the decision to send as many as 50 special operations forces into a training, assistance, and advisory role in that country, but that’s the reality. If the Russian president hadn’t made his move into Syria, the United States would not have felt compelled to finally, belatedly, shore up support for anti-Islamic State and anti-Assad allies in that embattled, long-suffering country. How do we know that? The past three years are how we know that. Those years have been a period during which the president’s own top national security advisors were unable to get him to take more decisive action to stop the decay in Syria — which gave way to the upheaval that now fuels not only the rise of the world’s most dangerous extremists but also the overflow of refugees into Europe and neighboring countries in the Middle East. But Putin, apparently, has more sway in the Oval Office than Hillary Clinton, Bob Gates, Leon Panetta, David Petraeus, and a host of others whose counsel went unheeded ever did. Pension plans for state and local government employees have faded from national news since the Great Recession. But that does not mean that rising pension costs have abated or the danger to public finance has passed. In many ways, things have grown worse. Fewer governments are making the full pension contributions, while they rely on riskier investments to make up the difference. That is a volatile combination for state and local government finances. Most public-sector employees participate in traditional “defined benefit” (DB) pensions, which promise a guaranteed monthly benefit at retirement. If the plan’s investments are insufficient to pay those benefits, the government—meaning, ultimately, the taxpayer—must make up the difference. DB plans differ from the “defined contribution” 401(k) plans used by most private sector workers, wherein the employer promises a certain contribution but makes no guarantees regarding the ultimate benefit the worker will receive at retirement. A story in the New York Times this week that the Russian Navy seemed to be menacing the trans-Atlantic telecommunications cables that are so vital to the United States and, indeed, the world attracted significant attention and engendered a good deal of alarm. This seems a very modern problem. However, in 1917, the United States and the British faced a similar problem, as a document in the National Archives shows. On February 1, 1917, Germany launched unrestricted submarine warfare. Two days later the United States broke off diplomatic relations and began the slide toward war. On February 7, the British post office completed a study of what we would today call trans-Atlantic bandwidth to determine how much telegraph capacity would be available to an American Expeditionary Force that might be sent to France. In this era when the U.S. military blithely slings video-laden PowerPoint briefings back and forth across the NIPRNET (that’s the Internet to you and me), the numbers inthis work are startling. I cringe every time I witness a group of experts from across Asia gather for an international meeting. They may be government ministers, or professors, or businessmen; the situation is the same. They shake hands awkwardly, exchange light pleasantries in broken English, and then quickly break off the conversation and scuttle away from each other. Although the plane tickets and hotels required to bring these experts together are expensive, there is little, or no, serious dialogue between them – in spite of the remarkable amount of know-how that they have to share. Sadly, in most cases, they will leave the expensive events organized by government, or industry, the same way that they came: as mutual strangers. The gatherings over expensive meals will lead to no commitment for future cooperation, or even awareness of the wisdom and knowledge belonging to the others at the event. Central Asia will be drawing international attention over the weekend and into next week on account of U.S. Secretary of State John Kerry’s planned circuit of the region. 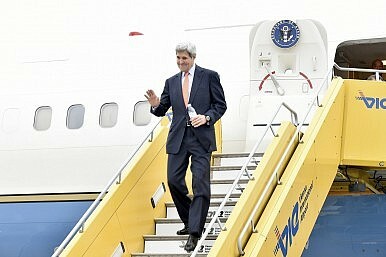 Human rights organizations–such as Human Rights Watch and Freedom House–have pressed for Kerry to feature human rights on his trip. Robert Herman, vice president for international programs at Freedom House said in a statement, “Secretary Kerry’s visit to Central Asia is a vital opportunity for him to publicly tell the citizens of these countries that political pluralism matters.” Human Rights Watch went into specifics for each country of the region, noting imprisoned activists, harsh laws and ongoing crackdowns on both journalists and the religious. The International Partnership for Human Rights also details specific areas they hope Kerry will address. A new sort of war is looming: it is undeclared and undefined, its battlefield both universal and invisible. No one can be sure how such a war would start, how it might be fought, and how it would end. If naval power defined international relations in the 19th century and air power shaped combat between nations in the 20th, then cyber power will be the defining feature of the 21st-century battle. The rules for this sort of war have yet to be written. An ­attack can come in many forms, and for many reasons: to cause disruption, or destruction, or to make a point. It can be a carried out by ­organs of the state, semi-authorised actors, criminals or independent hackers. The attacks may be motivated by financial greed, industrial espionage, mischief, power, politics or propaganda. A cyber attack may be merely annoying. But it also has the ­potential to be as devastating as a nuclear attack, only far less predictable and controllable. John McAfee is the first and only U.S. Presidential candidate to present the American people with a Cyber Security Doctrine. Who's crazier than John McAfee? Could be the Commander-In-Chief candidates who are running election campaigns - sans any mention, let alone a position statement - on cybersecurity. Let's not forget that our President has supreme command over our armed forces which includes our cyber military. While Obama has not declared an official cyber war, there are many experts who will tell you that the U.S. is in a cyber war against China. How Scared Should We be of Cyberwar? In an age of ubiquitous networking, popular culture and the media have become increasingly fascinated with the idea of cyberwar. As the west pours billions into the latest fancy war gadgetry – from the armed drones that increasingly fight our wars in Afghanistan, Iraq and Syria, to the next generation F-35 fighters that are meant to dominate enemy airspace through multimillion pound suites of on board computer wizardry – the spectre of militarised hacker groups with fingers on the off switch looms ever larger in the public consciousness. Having the biggest, best-networked stick is at the core of western military doctrine – but that doesn’t matter if your arm fizzles and stops working when you go to swing it. Where Is America’s Cyber Defense Plan? Where is America’s cyberdefense plan? To begin, a conclusion: The Internet, whatever its many virtues, is also a weapon of mass destruction. We have been distracted from focusing on that potential by a succession of high-profile cyberattacks, including China vacuuming up more than 22 million federal employee records, North Korea’s humiliating shot across the bow of Sony Pictures Entertainment and a barrage of cyberlarceny directed at U.S. banks and businesses, much of which has originated in Russia and Ukraine. Each of these targets was protected by firewalls and other defenses. But the Internet is inherently vulnerable. It was never intended to keep intruders out. It was designed to facilitate the unimpeded exchange of information, giving attackers a built-in advantage over defenders. If that constitutes an ongoing threat to commerce (and it does), it also represents a potentially catastrophic threat to our national security — and not just in the area of intelligence-gathering. The United States’ physical infrastructure is vulnerable. Our electric power grids, in particular, are highly susceptible to cyberattacks, the consequences of which would be both devastating and long-lasting. On Sept. 29, the Washington Post reported that the CIA had pulled an undisclosed number of officers out of the U.S. Embassy in Beijing following the hack on the U.S. Office of Personnel Management (OPM) computer system, which exposed data on some 22.1 million government employees. The U.S. government blames China for the hack, and the withdrawal of agency personnel from Beijing based on fears their identities could be exposed would seem to indicate Washington is confident in its charge. But beyond politics, the case is a good example of how digital advancements are making it increasingly difficult for intelligence officers to operate undercover. Meditation is the ability to self regulate internal mental distractions. Mediation is a means to enhance brain function and cognition in healthy and impaired individuals. Meditation exercises the mind in the same way we exercise our body–an active form of brain training. It infuses thoughts with greater positivity, love, calm and joy. Maintains balance between the sympathetic and parasympathetic nervous system. This Tuesday, the Japan Maritime United Corporation (JMUC), a shipyard located in Tsurumi, Yokohama, launched a new mine countermeasures vessel built for the Japan Maritime Self-Defense Force (JMSDF), The Japan Times reports. The 690-ton Awaji is the lead vessel of a new class of mine countermeasure vessels slated to replace three wooden-hulled 1,000-ton Yaeyama-class minesweepers that have been in service since March 1993. The Awaji, named after an island in Hyogo Prefecture, boasts a new special hull made out of composite fiber-reinforced plastic in order not to set off mines with its built-in metal detecting sensors during minesweeping operations. The ship boasts a length of 67 meters, a beam of 11 meters, and a draught of 5.2 meters IHS Jane’s Navy International reports. The top speed of the Awaji, powered by two diesel engines, is 14 knots according to representatives of the Japan Maritime United Corporation. 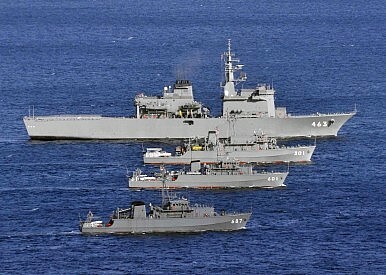 The primary weapon of the JMSDF’s new vessel’s will be a 20 millimeter cannon. Kurdish People's Protection Units fighters take part in a training session on April 29, 2015, in the southwest Syrian region of Ras al-Ain, close to the Turkish border.